A truly inexplicable event took place back in 1959. 3 men from the UK bore witness to a flying saucer. Researchers never were able to provide a decent explanation for it, while history will remember the mysterious event as the Silpho UFO case. 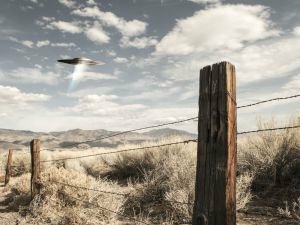 Newest publications as well as materials on UFOs. Find out about mysteries, stories and convenient advice on UFOs. Read the newest articles and publications about UFOs. The date was October 21, 1982. Around lunchtime, a young biologist was conducting routine work in his garden when he heard something abnormally strange. Edwin Fuhr was just an ordinary farmer from Canada. But what he witnessed on September 1, 1974 was anything but ordinary. Police officer Alan Godfrey recounts his story of one of the most exciting and vivid experiences at the time, which took place on November 28, 1980, a date he'll remember for the rest of his life. On the day which Renato would come to remember for the rest of his life, he had been doing yard work on his property when he was startled by a strange sound coming from the sky. As it turns out, a number of famous individuals have said that they'd seen UFOs, and even extraterrestrials. Take a look below at a few such cases and the exciting stories they have to share. A Romanian tourist has shot a photo of an unusual object during his hike through a mountain in Kosovo. While exploring Ljuboten peak, he managed to snap a photograph of a round object, hovering in the air. A San Jose woman has uploaded pictures of a strange creature she found in her backyard. The woman believes that it's the body of an extraterrestrial since she has never before seen anything like it. All those who believe that the truth is out there and that we're far from the only intelligent form of life in the Universe should celebrate today because for several years now July 2nd has been labeled as World UFO Day. 44-year-old musician Mike Bedward was struck by the gracefulness of a rainbow that had appeared and decided to snap photographs with his camera. He took several pictures but after looking at them carefully he was more than shocked.